Here at GranadaSpain we focus mainly on Granada City and Province as a fabulous holiday destination. But of course many people, like us, don’t just come here on holiday, they come here to live and bring up their children. If you are considering a move to Granada then I am glad that you have found us because you will find lots of information here about the area that will inform your decision. However, with this decision, simply finding a lovely spot is not enough. Needless to say the criteria for choosing a holiday destination as opposed to a relocation destination vary massively. You could say that it’s a different kettle of calamari altogether. Sorry, no more fishy puns. Every expat has a backstory, and when a group of them gets together, and they do like to get together, inevitably, the question of backstory arises: So, what brought you here? Why Spain? Why Granada? Why Málaga? Why? WHY? Answers differ wildly and naturally people take different approaches to relocation ranging from the crazy-fly-by-the-seat-of-your-pants route to the level-headed, every-angle-covered and no-stone-unturned method. I am rather reluctant to admit that on a scale of 1-10, 1 being crazy-fly-by-the-seat-of-your-pants and 10 being no-stone-unturned, our approach to moving to Spain was probably a 4 nudging 5. Of course we came to check out Granada before we moved here (it wasn’t the first place that we looked at either) and of course we made an effort to learn the language, but there was a great deal about life in Spain that we just didn’t consider before we moved. When we first planned our move it was just my partner and me. By the time we rolled-up in the Lecrín Valley, with all our worldly possessions crammed into my right-hand-drive UK-plated Rav 4, I was just six weeks pregnant. My first midwife’s appointment, which ended in tears and confusion, was at the Centro de Salud in Dúrcal and was not what I had imagined I would be doing during the first week of my Shiny New Life in Spain. But all this is another story much of which can be found over here if you are interested. In our favour, perhaps, was the fact that we both had previous experience of expat life elsewhere. We knew it wasn’t going to be easy and luckily for us our story is turning out to be a relatively happy one. Does that sound just a little bit underwhelming? If it does, it’s because life here can be difficult, yes, even when the sun is shining. It takes hard work, perseverance and a certain resilience to meet all the challenges that might get thrown at you by the health and education systems and various other bureaucracies, not to mention the language and cultural barriers that you may encounter. And then the importance of doing your homework is magnified if you have children because as good parents you are not going to risk their happiness and development on a whim, right? My point is that if, at the beginning, I had been armed with a little bit more information on how to navigate life in Spain I would certainly have saved myself from some tears and frustration. 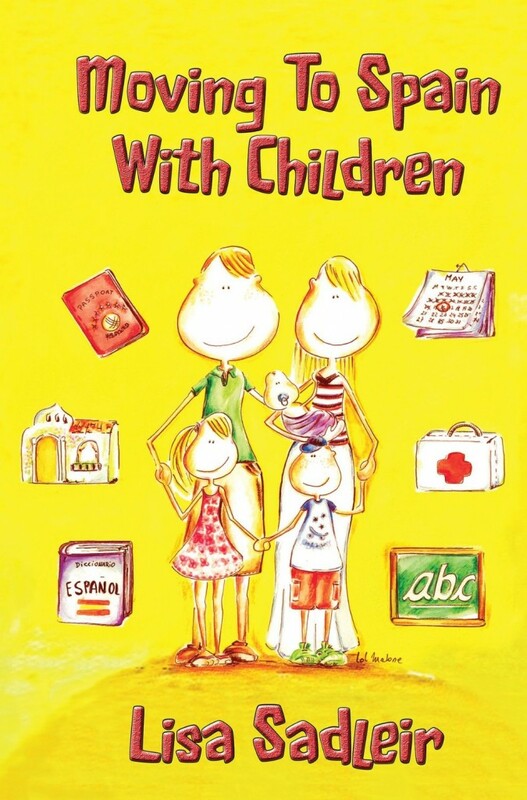 So, if you are considering a move to Spain, and especially if you have a young kids, or you are planning a family, I’d like to recommend a new book released this month called Moving to Spain with Children by independent relocation advisor, and expat mum of two, Lisa Sadleir. The book, currently available for Kindle on Amazon and soon to be released in paperback, does exactly what it says on the cover by looking at all the crucial considerations for a smooth transition into a new family life in Spain including timing, location, schooling, healthcare, property, working, starting a business and even dealing with your pets. Based on her own family’s personal experiences, which she shares, the author offers up-to-date information, honest advice and the invaluable benefit of hindsight. 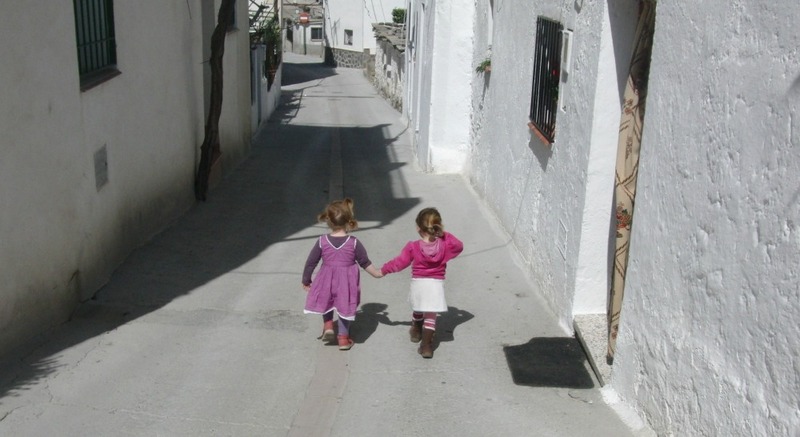 To find out more about the author and the services that she offers families and individuals moving to Spain visit Family Life in Spain.